John qualified in 1984 from Cork Dental School and Hospital U.C.C. He worked for 4 years in Shoeburyness Essex and 2 years in Canvey Island Essex before returning to take over 3 Camden Quay. He married Eileen in 1985 and today they are proud parents to Katie 22, Hollie 20, Kellie 17 and Jonathan 13. Eileen qualified as a nurse from Southend on Sea hospital in 1988 and a midwife from Rochford General Hospital in 1990. Today she is Practice Manageress at Corkdental.com. 2002 saw John begin his dental travels to the USA where he has developed his practicing philosophy influenced by many leading dentists including Dr Larry Rosenthal, Dr Woody Oakes, Dr Skip Truitt, Dr Gordon Christensen, Dr Howard Farranand many others. In 2006 John started his training in Orthodontics with Dr Skip Truitt from Texas in London and Birminghan UK. In 2009 he undertook Six Month Smiles short term orthodontic training in San Antonio Texas following that in 2012 with 6 Month Braces advanced and lingual braces in Cleveland Ohio with Dr Rick de Paul. Today John is the only Instructor/Mentor in Ireland for 6 Month Smiles and regularly instructs other new dentists worldwide in this technique. He was invited to lecture at the first Advanced Level 6 Months Smiles Reunion in New York 2010 and again at the 2nd Advanced Level Reunion in Boston in 2012. At the 2010 Reunion he achieved the prestigious Smiler of the Year award for completing the most cases worldwide and to date he is the leading provider worldwide of the 6 Month Smiles service. At the 2012 reunion in Boston he was awarded International Ambassador for 6 Month Smiles. John is the only Irish dentist to train in Ozone use in dentistry. He attended the Pathfinders in Dentistry training in Los Angeles in July 2012. 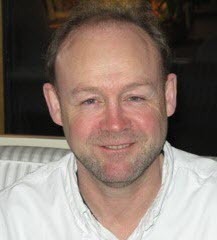 He is a board member of the International Association of Ozone in Healthcare as well as a member of the editorial board of Irish Dentistry magazine for whom he writes a monthly article. He was president of the Munster branch of the Irish Dental Association in 2001 and served as GP representative for many years for the same branch. He has attended conferences/continuing education in New York, Boston, Seattle, Los Angeles, Arizona, San Antonio, Cleveland, Bonita Springs, Tampa, The Florida keys, Sandestin as well as London, Birmingham and Frankfurt and all over Ireland. He has lectured in Cork, Dublin, Cavan as Well as Boston and New York. He is currently a member of the Smile Source/Academy of Comprehensive Esthetics US based group of dentists . Kate joined us at Corkdental.com in June 2014. She previously worked in 2 exceptional dental practices in Limerick and Carlow and brings with her a wealth of experience. She graduated from University Dental School and Hospital Cork. She won the prestigious International Association for Dental Research David B Scott fellowship award on graduation as well as the overall Outstanding award in operative dentistry. She volunteered with the Dental Charity “ Work the World ” in Nepal. Kate is married to Billy and in October they became the proud parents to baby Wills. Currently Kate is undertaking her Masters in Clinical Dentistry Orthodontics at the City of London School. 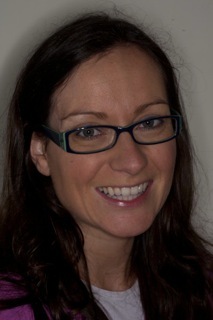 She has also completed the Professor Paul Tipton’s one year advanced restorative dentistry course. Kate has a keen interest in Cosmetic dentistry as well as lingual braces orthodontics, general orthodontics and 6 Month Smiles. Kate is a great asset to the practice. Siobhán joined us in December 2014 as our practice hygienist. She graduated with honours from UCC and has worked for high end dental practices in Manchester and London over the past 10 years before settling back in Cork and setting up her own hygiene practice dentalhygienist.ie. She was awarded Best Dental Care professional and Highly commended Hygienist of the Year at the Irish Dental awards 2014. Ironically we were both competing against each other last Year! Next year 2016 as a team we aim to blow away the other practices across Ireland! This Year Siobhán is again nominated in 3 categories for the awards, Best Practice in Munster and Leinster, Best Child Dental health initiative and Best community project. Siobhán is married to Anthony and has a gorgeous little boy Tom. We forsee great benefits for both our patients and the team with this welcome addition. Eva hails from Latvia and has been with us nearly 2 years. Eva achieved her Certificate in Dental Assisting from University Dental School and Hospital Cork last year. Eva is Dr Seward’s assistant. Lisa is our newest addition and hails from London. She is our Receptionist and will be your first point of contact with us. She brings a wealth of experience from her previous careers having run her own businesses in the UK, USA and now Ireland. She is a great addition to our team. Jacinta is home grown hailing from Macroom. Jacinta is our longest serving team member and you will all be familiar with her. She is currently studying for her Certificate in Dental Assisting at University Dental School and Hospital Cork. Jacinta is Dr Horgan’s assistant and also assists in reception.